Among São Paulo’s inhabitants, the samba won a connotation of mixture of races, and the state accent began to gain some space. Today, dozens of bars and rodas dedicated to the rhythm are spread through the city. Check out some of the rodas, divided by regions, which preserve the purest original samba, and also give visibility to new composers. To find the nearest roda, you can also download the InSamba app, with which you can also find show houses and escolas de samba, have a cultural agenda of the city and share experiences with friends and family, with the facilities of a smartphone app. Located at Frequesia do Ó, in the North Zone, a group of friends gathered in the 1980s to discuss ideas for improving the neighborhood. 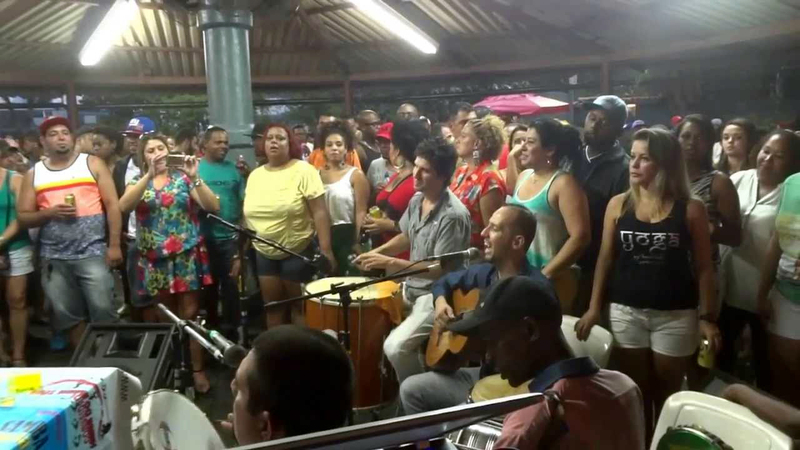 From these meetings came the roda Buraco do Sapo, that seeks to rescue the original samba and other talents of the community. When: Sunday, from 3 p.m.
Buraco do Sapo. Photo: divulgation. Started in April 2011 to enhance and encourage musical composition, in particular original samba. 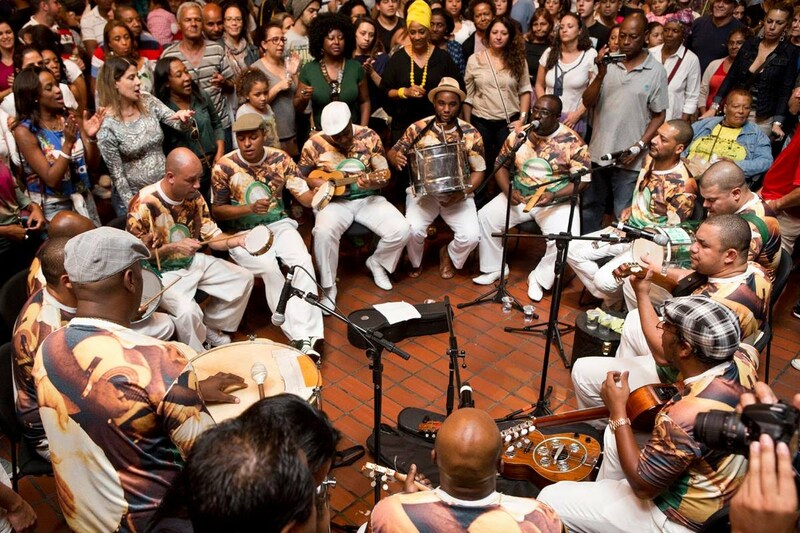 The roda de samba happens with new sambas from composers of Samba do Congo and of other communities. When: Every second Saturday of the month, from 3 p.m. to 8:30 p.m. It began in 2005, in the neighborhood of Grajaú, the roda seeks reveal new composers, but also celebrates the great names of samba, preserving its roots and compromising to its story. When: Every Sunday, from 4 p.m. to 8 p.m.
Pagode da 27. Photo: divulgation. Conceived in 2007 from a chance encounter between composers of the Escola de Samba Camisa Verde e Branco, at the Sunday fair. 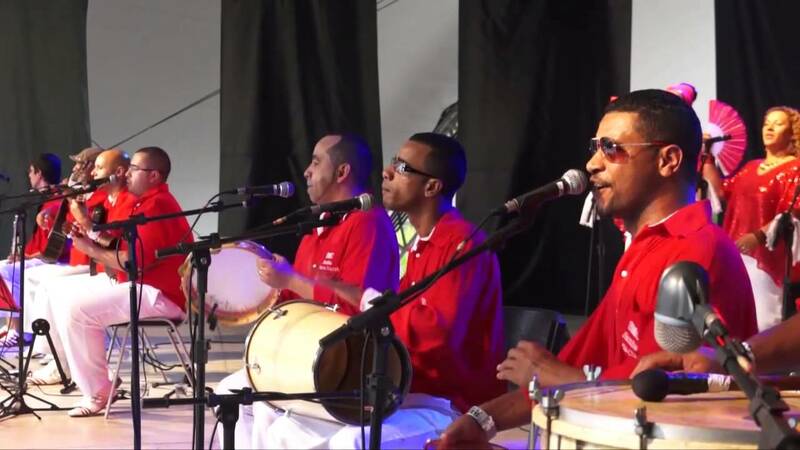 The roda has a mixed repertoire, with classic sambas and new compositions. When: Third Sunday of the month, from 12 a.m.
Samba na Feira. Photo: divulgation. Started in November 2012, idealized by Reginaldo Lopes in a gathering of friends for an informal chat about life. The result was a roda de samba. When: Every Wednesday, 8:30 p.m. 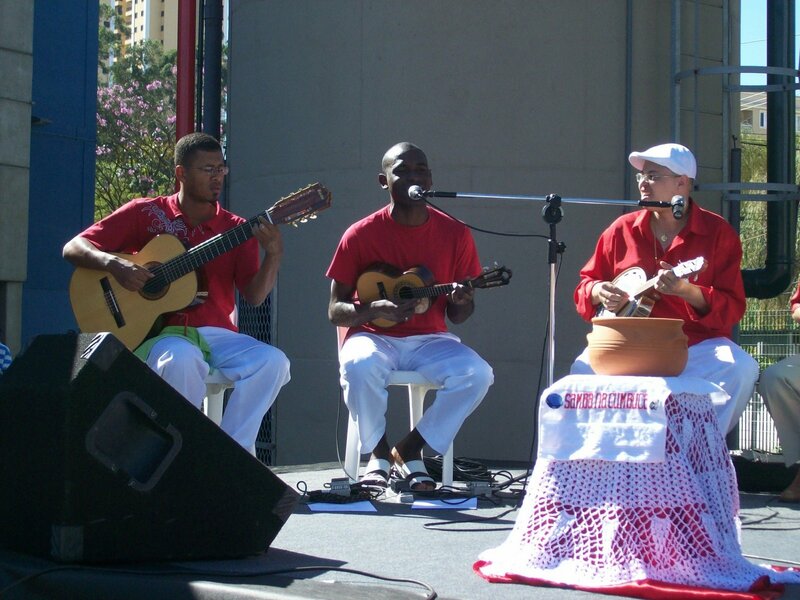 This roda was founded in July 2004 to appreciate samba from its origins and from the terreiro. Honoring great names of the Brazilian music in their repertoire, the Maria Cursi meeting also seeks to promote new composers. When: On Saturdays, from 8 p.m. to 12 p.m.
Comunidade Maria Cursi. Photo: divulgation. The Comunidade Samba Jorge started in September 2007 from a monthly meetings of friends who gathered to play samba de raiz. The roda happens in the Associação Recreativa São Jorge, headquarters of the football team. When: one Saturday per month, starting at 4 p.m. Created in 2002 by a group of friends, its only intention was to remember the sambas “from other times”. This community is formed by guys who take the rhythm very seriously. The music is played seductively, with the hands, sung without discrimination of race, color or religion. When: On Sundays, fortnightly. The roda also happens every third Saturday of the month. Phone: (11) 9 4004-0999 or (11) 2532-5765, from 6 p.m.
Roda de samba formed in 2001 by musicians and composers of São Miguel Paulista. The goal is to rescue the popular samba and present compositions from the community. When: last Saturday of the month, from 5 p.m. to 9 p.m. The event attracts families and offers pasta while the music goes on. The meeting has hosted big names of samba, such as Monarco from Portela, Almir Guineto, Sombrinha, Dudu Nobre, among others. When: every second Sunday of the month. Samba do Maria Zelia. Photo: divulgation. Started in 2004 with a gathering of friends and musicians. The chat about the authenticity of the rhythm, without the intention to proceed regularly, eventually became a nice roda that follows the format of Samba de Mesa. When: Every second Sunday of the month, from 2 p.m. This activity is a meeting of composers on the East Zone whose aim is to present their music. The compositions are gathered in a notebook so that everyone can follow the lyrics and melody. When: all Thursdays from 8:30 p.m. to 11 p.m. Started in August 2011 and values the traditional samba. Its main feature is the family environment, so the whole community can have fun. When: second Sunday of the month, from 12 p.m. to 5 p.m. The Cultural Project was founded in March 25, 2009. 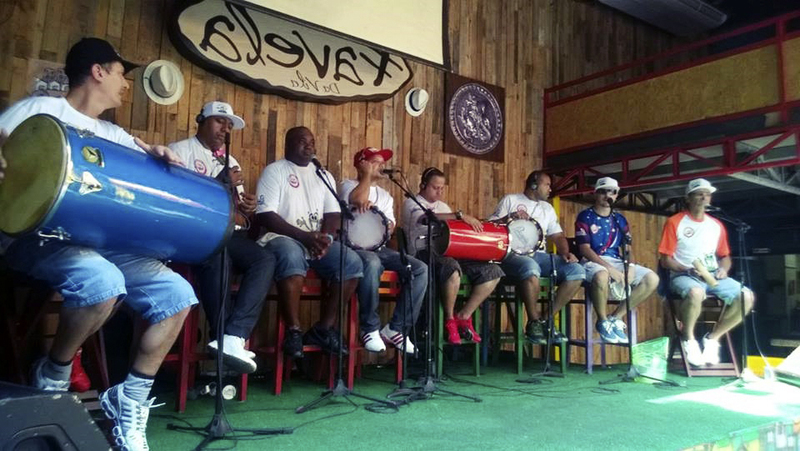 It is the first community of samba of Butantã, praising and rescuing the real samba of São Paulo. The intention is to sing new sambas, presenting the composer to the public. When: last Sunday of the month, from 3 p.m.
Samba na Cumbuca. Photo: divulgation. 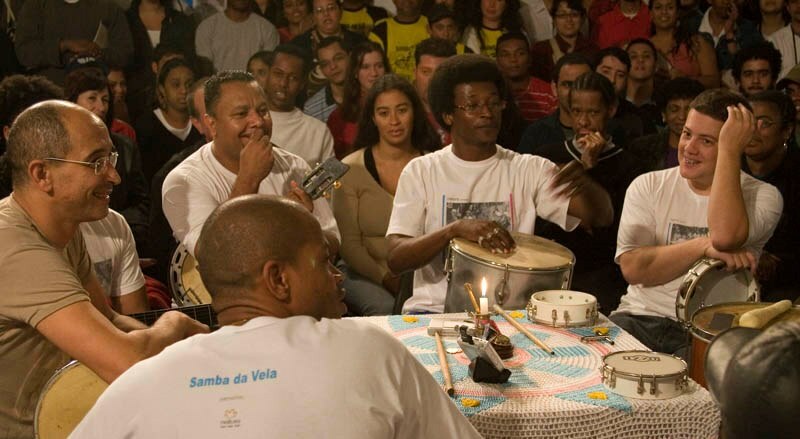 Meeting of generations in which seven sambistas – Dadinho, Melão, Paulinho, Hailtinho, Mário Luis, Airton Santamaria e Mesquita -, reminisce on works that have become classics of the samba of São Paulo. Roda de samba created in 2000 to celebrate the authentic samba of terreiro. The performances follow a ritual of its own, with a candle in the center of the roda that indicates the beginning of samba, ending only when the light goes out. When: every Monday, from 8:30 p.m.
Comunidade Samba de Vela. Photo: divulgation. Samba da Laje started in 1997. The musicians from the community gather to honor the best of samba de raiz. The meetings include a feijoada prepared by the leader of the samba, Dona Generosa. 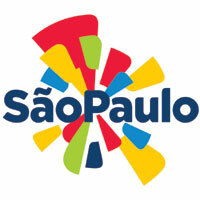 The cultural project was founded in 2004, in Santo Amaro, in the South Zone of São Paulo. The main objective is to promote the Brazilian samba by creating opportunities for composers of the community, as well as keep alive the history of samba. When: every second Sunday of the month, from 12 a.m. Created in 2006 by former sambistas, residents of the region of Santo Amaro, in the vicinity of the Guarapiranga and M’Boi Mirim, it gathers fans of this music genre. The meeting brings together friends and community within the social headquarters of Esporte Clube Moleque Travesso. 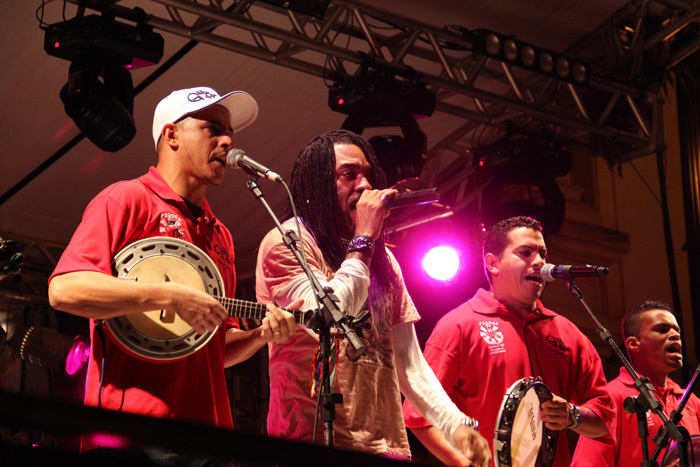 The famous roda named Terreirão do Sobral searches to maintain the tradition of samba, integrate the community and diffuse the genre.